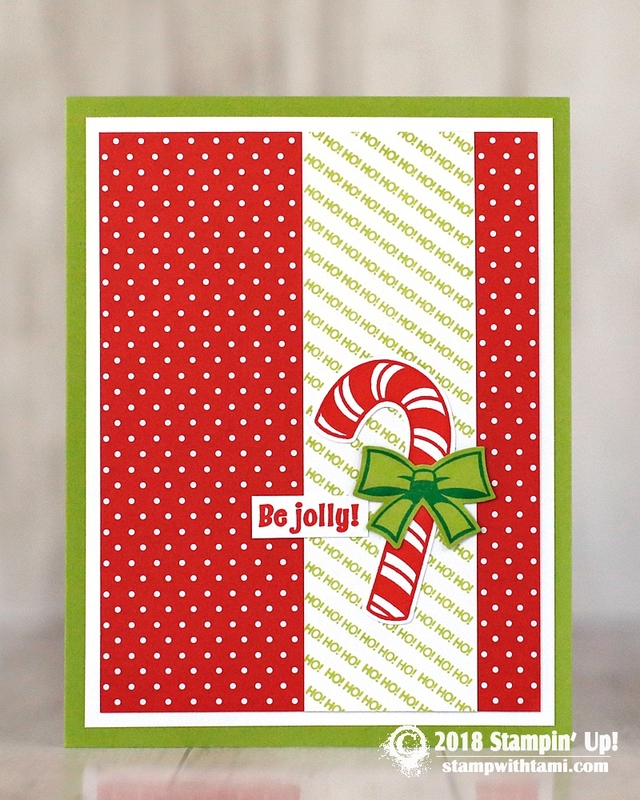 Super fun and bright “Be Jolly” card from the Stampin’ Up! Candy Cane Season bundle (stamp set and Candy Cane Builder Punch). The “HO! HO! HO!” background is stamped to make a continuous strip. Julie just eyeballed it and it was easy to line up.